How well are your drivers’ licences checked? Checking licences is important and cannot be overlooked. If an accident on the road involving one of your drivers and vehicles occurs and they do not have a valid licence, then it could mean something as severe as a corporate manslaughter case against you. 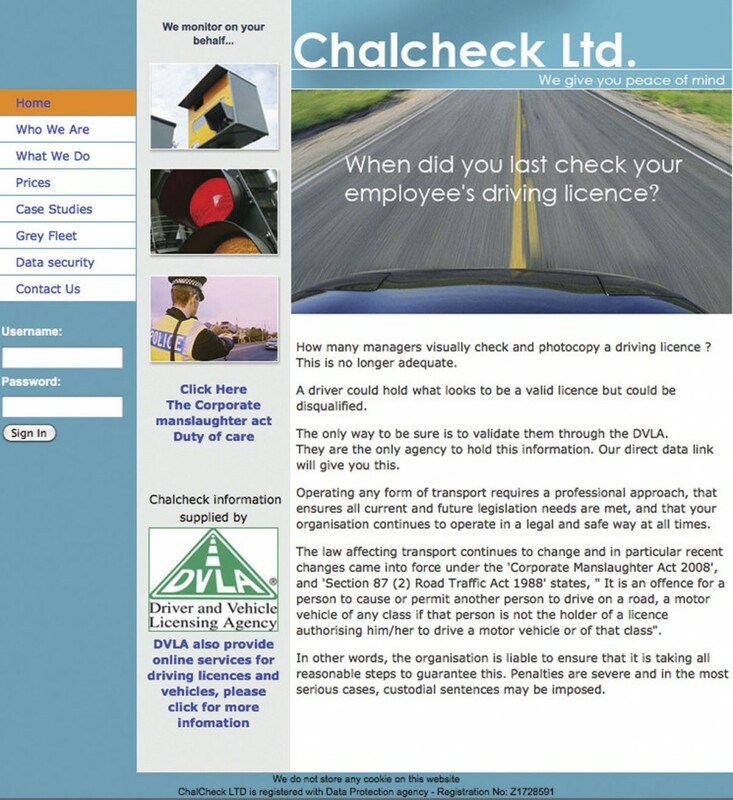 Chris Peat spoke to Terry Reynolds, founder of Chalcheck, a company set up to take away the work and time involved with licence checking. An experience six years ago running minibuses played a part in Terry forming Chalcheck. His firm had taken on a driver and, having checked his licence and had his CRB check passed, the driver was pulled over for a routine inspection by VOSA (as it was then known) and it was found that he was actually disqualified from driving. The vehicle was impounded by the police and the driver arrested. Even though his licence had been checked, it had not been done through the DVLA. If it had been, then the fact it was invalid would have been flagged up. Fortunately, the driver had not been involved in a crash and no one had been injured or worse while he was driving, so no charges were made against Terry. After his own experience with a driver with an invalid licence, even more intensive checking of drivers’ licences was carried out by Terry, this time through the DVLA. It soon became apparent that this was a long and laborious process, taking up valuable time. He invested in an EDEC (Electronic Driver Entitlement Checking) system, which provides a direct line to the DVLA. Terry applied to become a checker as part of this system, a process that takes a year, after which he invested in the software required to create a direct link to the licensing authority to speed the checking process up. Looking throughout the market at other companies checking driver’s licences, he found there were not many who were actually involved in running coaches or buses, they were simply ‘software people’. This sparked the idea of setting up a licence checking business of his own, which spurred him to design an online based system. This gave birth to Chalcheck and over the years his client base grew. Something he believes sets his firm apart from others is the fact his service is fully online and only requires users to input data for it to be used. Prior to setting up Calcheck, Terry noticed most similar schemes tend to be one off checks that are software driven, requiring management, administration and detailed input. The system includes a driver consent form that must be filled in by each driver before any checking takes place. This document is valid for three years before it needs updating. 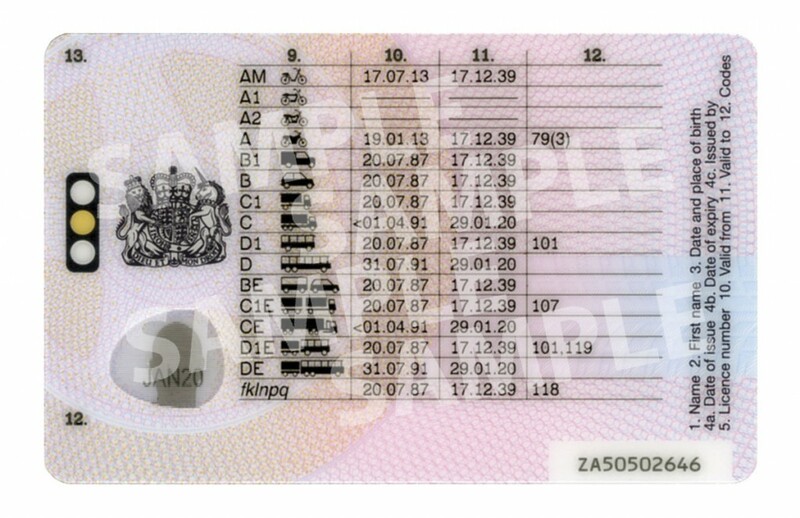 Once it is filled out, the licence can be checked as many times as the operator wants. The report generated shows the number of points on each of the listed drivers’ licences or when disqualified drivers can drive again, ‘giving users everything at their fingertips’. All of this data comes from the DVLA and the system is compliant with the Data Protection Act. Terry could not stress enough the importance of checking with the DVLA, rather than managers simply looking at the licences themselves. It is not just a case of disqualified drivers keeping their ban quiet to get driving work. It is not unheard of for a driver to be unwittingly caught by a camera and for the notification to be sent to an address they no longer live at because they have recently moved home. ‘If you’ve ever moved, you will know that with the stress of it, notifying people of address changes is one of those things that can easily be forgotten,’ said Terry. Therefore, the driver might be disqualified without even knowing it themselves. It may only be a police check that reveals this to them, no doubt to the driver’s shock too. As well as saving money through reducing time, the system can also cut insurance costs. Chalcheck has arranged a deal with Arthur J Gallagher that means Terry’s customers receive a special rate if they insure with the broker. He said the insurers are happy to do this because they know their client is covered when it comes to licences, making it one less risk to factor. Forming relationships with the industry beyond just its customers is important for Terry. He often attends CPT meetings, which give him a chance to talk to industry professionals, keeping him informed of happenings in the market. An upcoming development Terry is expecting to roll out for Chalcheck is the provision of live data. He expects this to be introduced ‘shortly’ and for it to make his offering ‘even better’. Checking licences properly, using the correct streams such as DVLA, is something many in the industry are ‘coming round to’, Terry believes. This is no doubt a good thing, as anything that improves professionalism and ensures all current and future legal requirements are met must surely be encouraging. The cost of not taking these precautions can be damaging to the company, if not downright fatal. Chalcheck offers a solution that should give peace of mind.